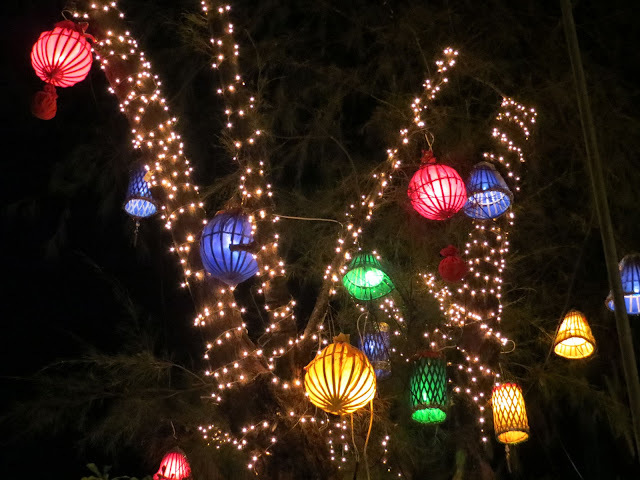 Even though it's hot and humid outside and doesn't feel like Christmastime at all, it still is, and it's nice to be reminded of it by decorations and Christmas lights. 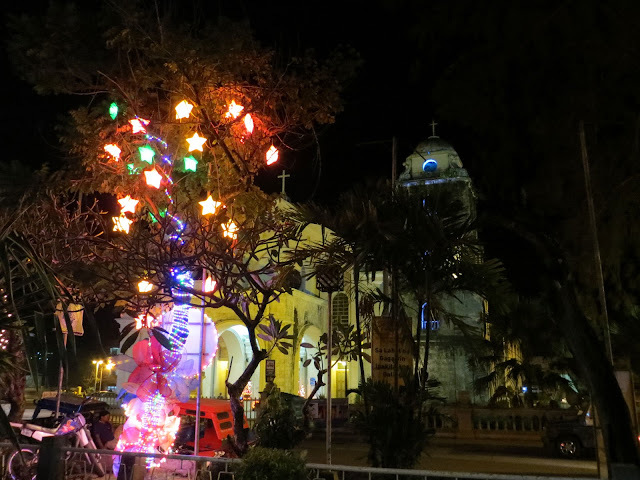 In the Philippines if someone has a Christmas tree at their home, it's always a faux-tree and it's usually placed out on a front porch or balcony. It seems like people spend most of their time outside and from there they and others can enjoy it the most. 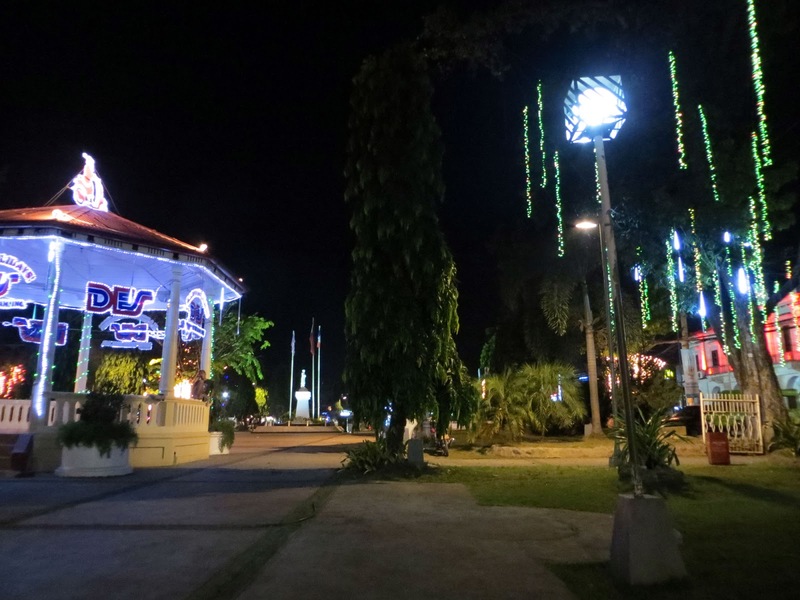 Near where we are staying in Tagbilaran, on the island Bohol, there is a public square with a big church on one side and the capitol building on the other. 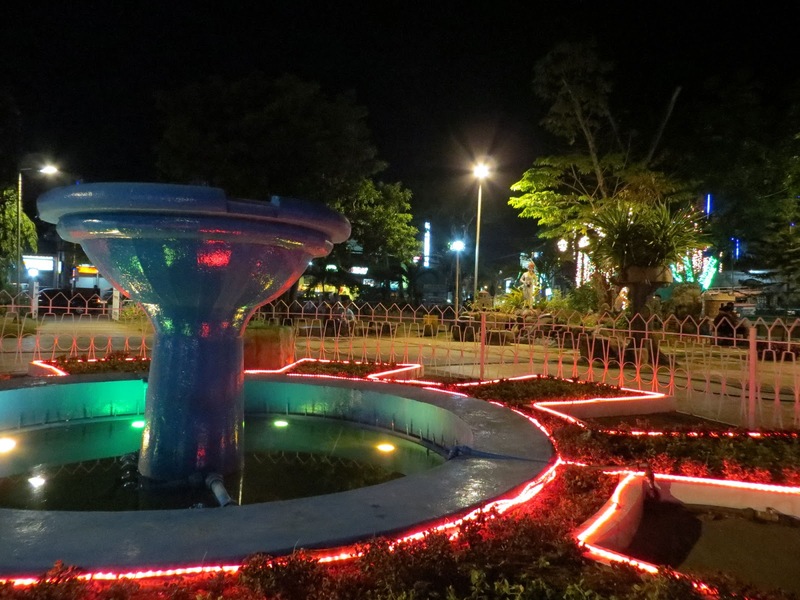 The park is decorated with all kinds of different Christmas lights. Merry Christmas, Happy Hanukkah, and lots of joy to all of those who don't celebrate either of those!! Happiness and love to all!! !